Oop! 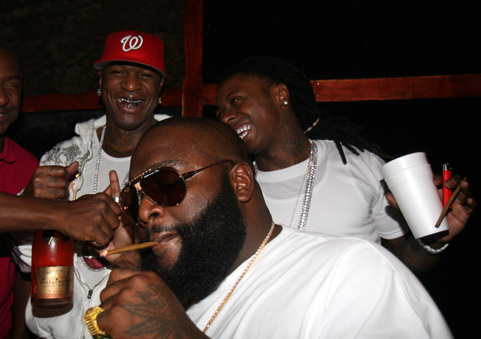 Rick Ross Fires Shots Back At Birdman & Lil' Wayne: "Them N*ggas Kissed And Then Made Up" - Ooooooo La La! Oop! Rick Ross Fires Shots Back At Birdman & Lil' Wayne: "Them N*ggas Kissed And Then Made Up"
This beef between Rick Ross and Birdman is getting ugly and now Lil' Wayne is dragged into it. Well, Ricky Rozay fired back some not so subliminal shots on his Snapchat when he rapped in a new song, "Them n*ggas kissed and then made up."